Nowadays the logistics market worldwide undergoes global changes radically affecting both the role and scope of its members, and the structure of their interface. Customer service is rather new phenomenon for Russian market. There is the Customer Service Department established in our company where the experienced personal manager would provide the necessary service. Novotrans Capital LLC (city of Novorossiysk) has long-term experience and carries out customs registration of the import/export cargoes delivered by sea, road and railway in the ports of the Azov-Black Sea region, thus our company has no restrictions on regions of its activity. Long-term cooperation of Novotrans Capital, LLC with sea line agents, direct contracts and considerable container carriage enable the company customers to have substantial discounts for maritime cargo transportation from any port of the world to the ports of Novorossiysk. Shipping of cargoes is carried out from the railways of YUG-TERMINAL located 1.5 km away from the logistics center Novotrans Capital, LLC, as well as from the public railways. 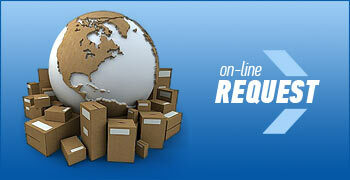 The company owns large fleet of trucks and guarantees the shortest delivery times. Multimodal transportation is both domestic, and international cargo transportation by mixed transport when the delivery to the destination point is carried out by two or more modes of transportation based on a single contract. The modern warehouses built in 2005 meet the requirements of the most demanding customers. Convenient location close to the port, railways and the federal highway are favourable aspects for the customers to choose our warehousing complex. Individual approach, availability of up-to-date special machinery and skilled personnel together with the optimal rates provide growth of interest for container option of our company. Organization of international (export and import) and domestic transportation of goods (including OOG, heavy and IMO) by road. Novotrans Capital, LLC provides full range of services for freight forwarding and customs clearance of perishable cargoes in refrigerators passing via the Novorossiysk port.